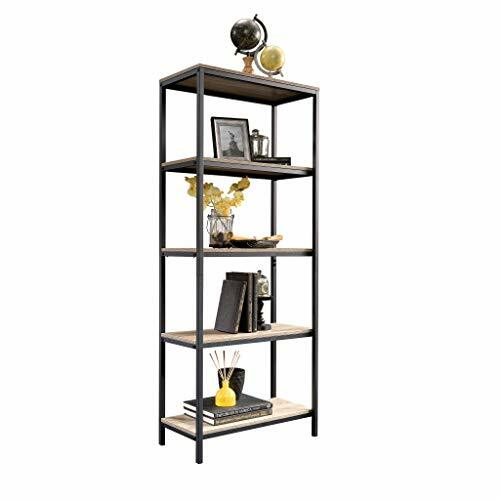 Stack it, store it, and display it on this 4-shelf bookcase from the North Avenue collection. 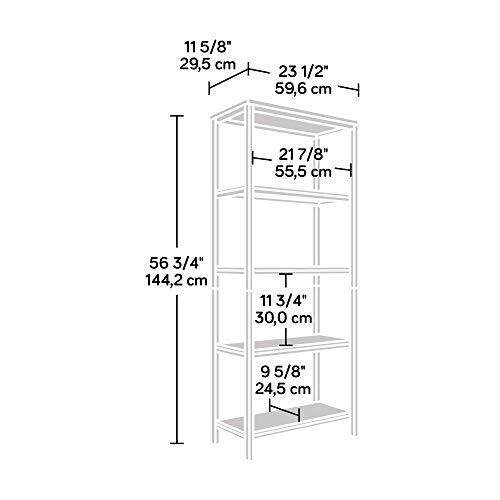 It features four spacious open shelves so you can store and display books, bins, pictures, décor, and more! 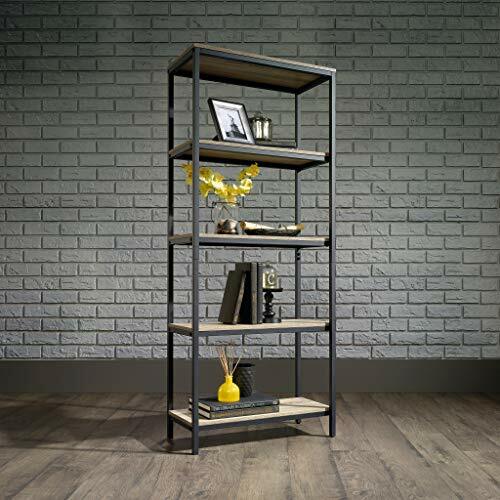 Constructed with a durable, black metal frame and finished on all sides in Charter Oak, this versatile library make will be the perfect finishing touch to any room.